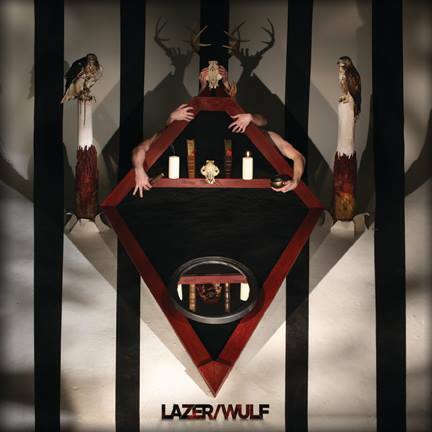 2014 has already been a weird and wild year for Lazer/Wulf. From touring Europe with Kylesa to finding a dreadlocked Lady Gaga dancing front-row at their SXSW performance (?!?!) to signing with Kylesa’s own Retro Futurist label to, oh, you know, crafting a record that acts as possibly the first musical palindrome, they’ve been busy, and they’re just cueing up. Each song of The Beast Of Left And Right mirrors each other, tense with Lazer/Wulf’s signature ferocity and technical grandeur. Noisey streamed “Centerpiece,” and A.V. Club will stream the album in its entirety on July 9. UPDATE: The Beast Of Left And Right is now streaming at A.V. Club. Having seen Lazer/Wulf in all manner of Savannah venues over the past three or four years, it’s great to see the hard-working Athens band in the spotlight. Pre-order The Beast of the Left and Right vinyl LP now via Retro Futurist. The official release date is July 15.